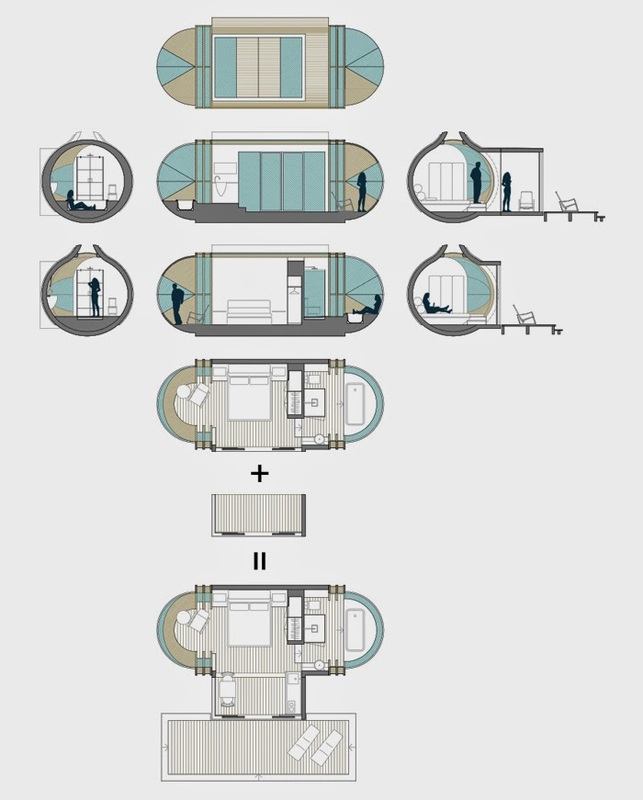 The Cabin DROP XL project, is the brainchild of designers Manel Duró and Marta Gordillo. This type of habitation is very versatile type of construction, at the moment it is predominately focused on the growing market of eco-tourism, because of its great design credentials. It measures 30m² (323 square feet) and can be customised for the client's requirements, like the addition of a Kitchen. The structure is built in a factory and then carried on the back of a lorry to site. Here the adjustable feet allow the structure to sit above the ground and to compensate for irregularities in the terrain. More information in the main article, like the video of the interior and more pictures including Plans, Elevations and Sections. Once in the article you can enlarge the image by pressing it (not the first one). These structures are made of wood, steel and glass and are as easy to install as they are to remove, with little to no effect to the surrounding eco-system. 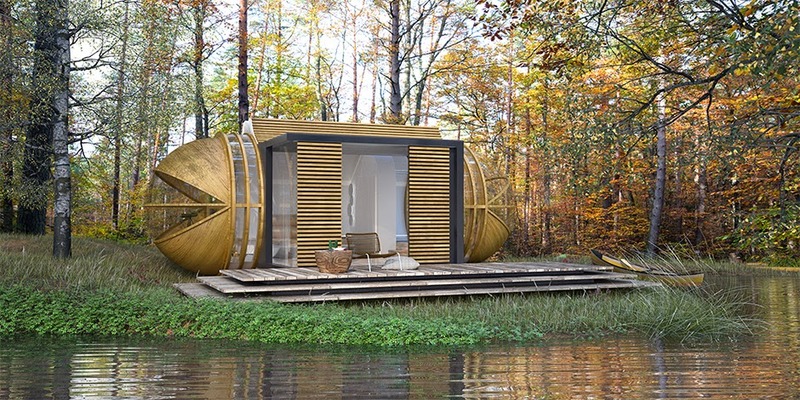 These units can be used as individual hotel rooms, or a more luxurious camping alternative. 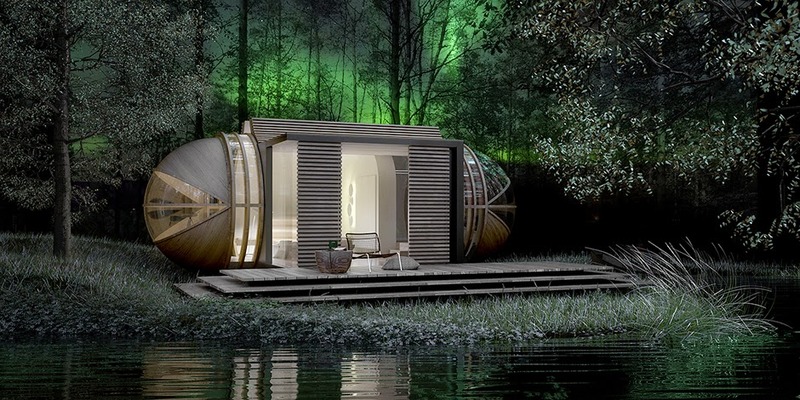 They can also be used for pop-up events, once the event is over the Cabin DROP XL are removed. One thing that has not been discussed is that, more and more parents are using their existing houses and land to accommodate removable habitations for their children to live in, when they become adults. The children want to have a space of their own, but can't afford the deposit on a new home. Some parents have constructed or bought micro homes on chassis with wheels for their children to live in, so that they can have a taste of independence and start saving for a home of their own. 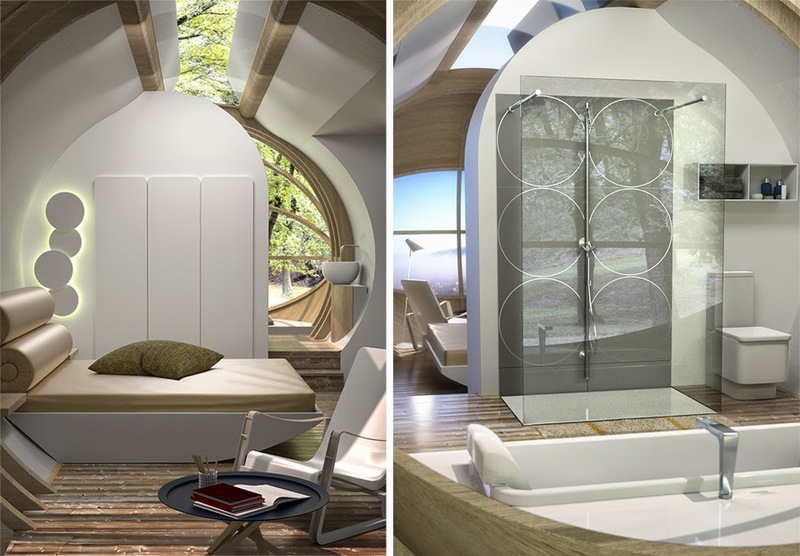 The Cabin DROP XL could cater for those people as well. 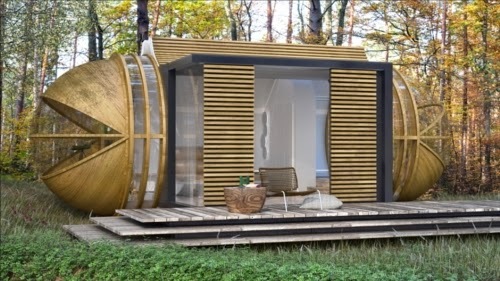 That said, we know that most people living in cities or places with little to no garden, will not have the chance to expand, but as we said, the trend is going up and we are seeing more and more of these micro homes on-line. We may have missed it but the only thing we haven't seen is a pricing structure, to see how affordable they are, which will determine which market they eventually go for.